Your facial expressions have a tremendous impact on how old you look, according to researchers. 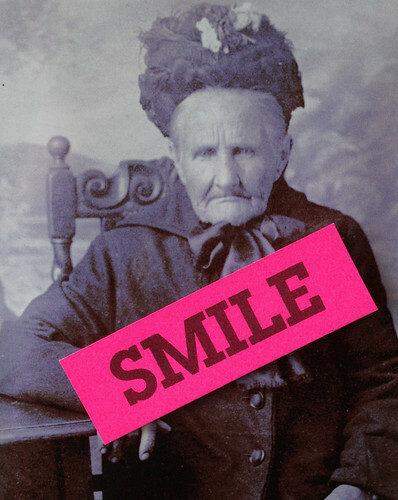 In a recent study, smiling people (in pictures) appear, on average, two years younger than their actual age. In the study, 2,000 photos documented expressions of anger, fear, disgust, happiness, sadness and neutrality. Over 150 adults were tasked with evaluating the photos and guessing each subject’s age. Subjects with neutral facial expressions were guessed with the most accuracy, while faces that showed emotion disrupted their ability to guess accurately. Although age estimates can often be based on multiple cues, there are many situations in which a picture of a personâ? ?s face is the only information that is immediately available, researcher Manuel C. Voelkle of the Max Planck Institute for Human Development in Berlin, and colleagues wrote. For example, pictures of people on social networks like Facebook and LinkedIn may be the only content that is shared. Additional background information could be weak or completely absent. One thing to note is that researchers said pictures of happy faces may be misleading because smiling or laughing creates temporary wrinkles around the eyes and mouth. Because it’s hard to tell temporary wrinkles from real ones in photos, people give a less accurate age estimate, Voelkle said. In addition, people tend to find smiling faces more attractive, so they may be judged to be younger than they are.